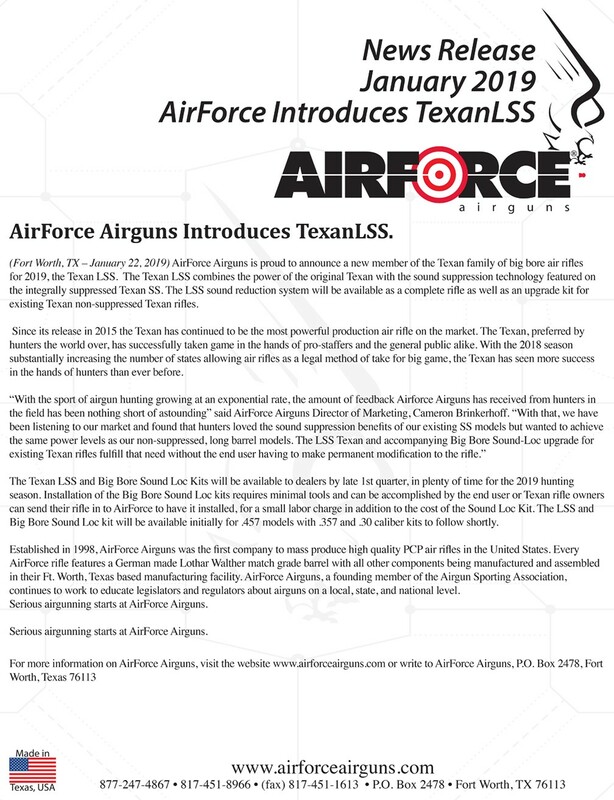 Read the latest press releases from AirForce Airguns here! 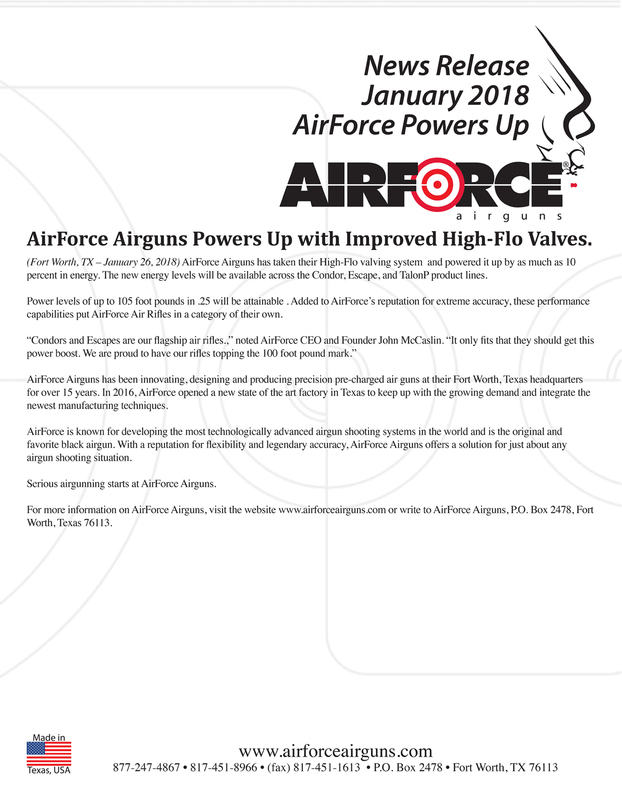 AirForce Airguns Powers Up with Improved High-Flo Valves. 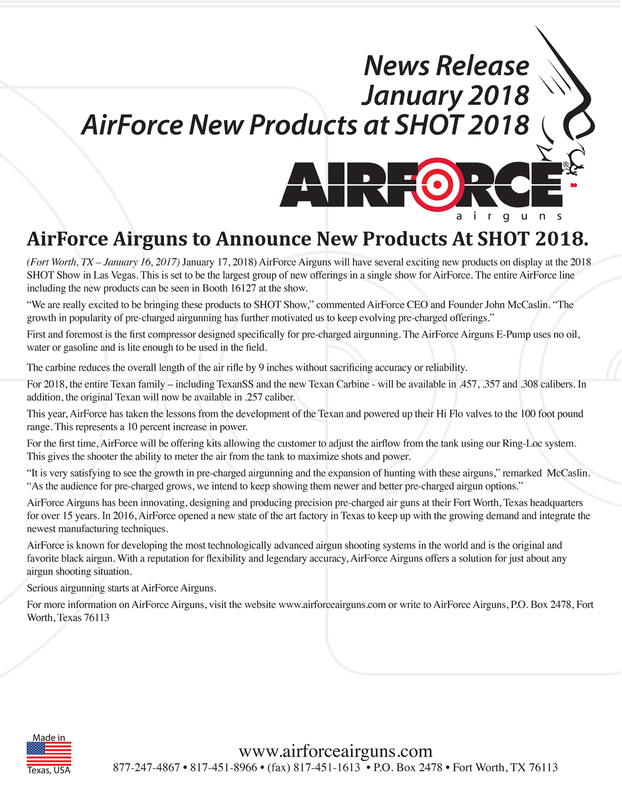 Added to AirForce’s reputation for extreme accuracy, these performance capabilities put AirForce Air Rifles in a category of their own. AirForce Airguns Offers Ring-Loc Valve Cap Kit for Condor and CondorSS. 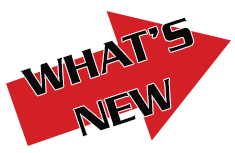 A new variable power valve cap kit for use with our improved High Flo valve system. 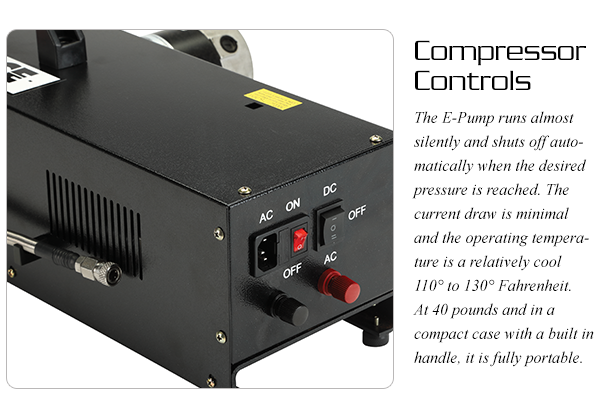 The Ring-Loc system allows the shooter to control the air flow from the tank to vary the power. 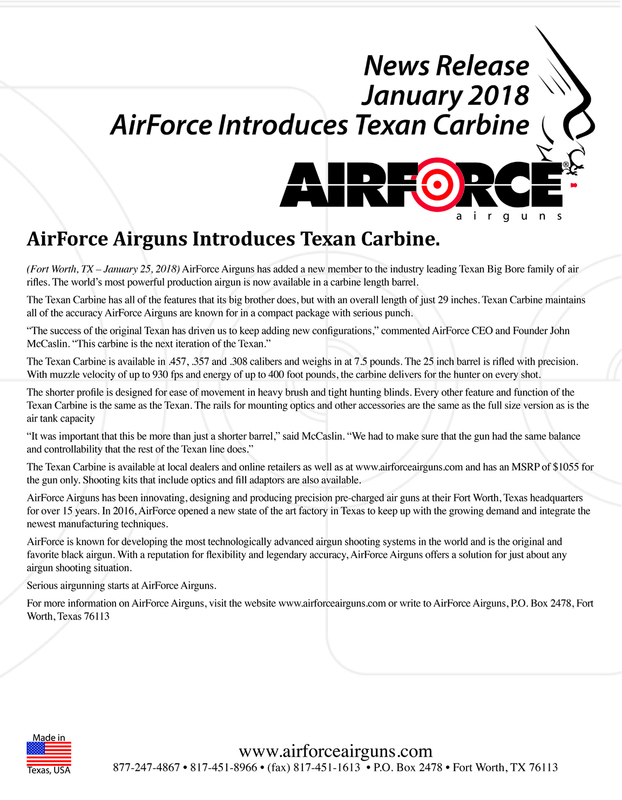 AirForce Airguns Introduces Texan Carbine. 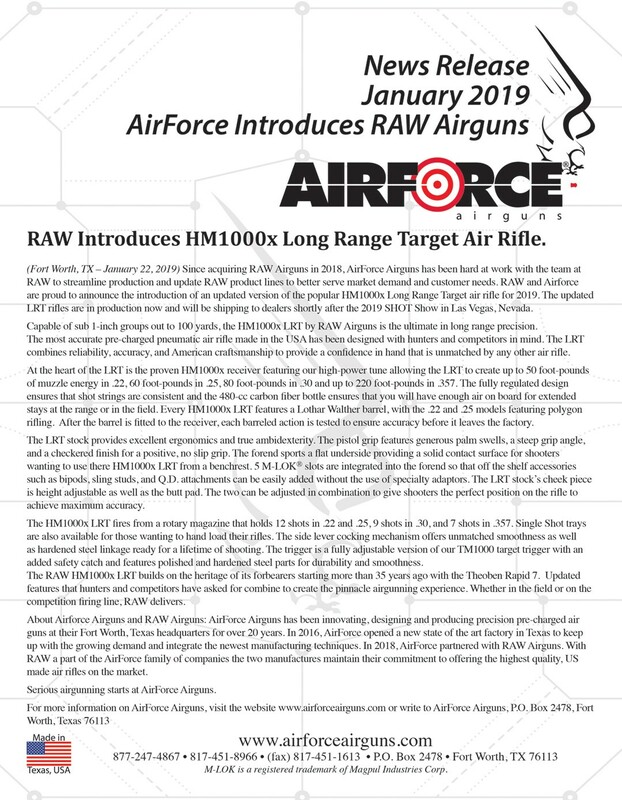 The world’s most powerful production airgun is now available in a carbine length barrel. 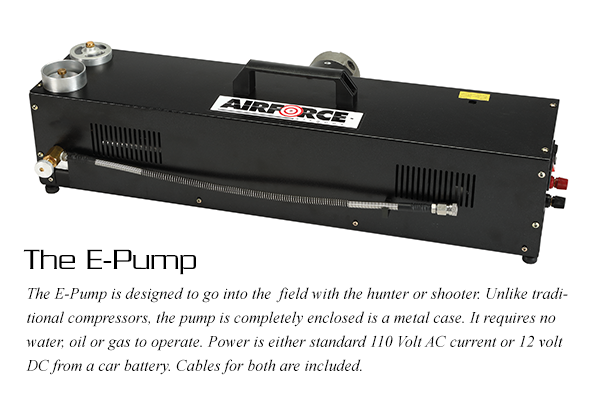 AirForce Airguns Introduces First Compressor Designed ForPre-Charged Airguns.